UNDP has said the price tag is $53.9 million—an average of $10,208 per job spent in 2010 on 135 environmental projects world-wide. But according to documentation, the projects that generated those jobs have a total cost of about $1.68 billion—which would work out to a much more staggering average figure of about $288,700 per job. The wildly differing size of those price tags for a fairly trivial amount of employment emerged as part of a muted rebranding effort at UNDP. Top management is trying to burnish some of its credentials in the face of internal critics who feel that when it comes to merging environmental management and economic development to solve poverty problems, UNDP is not very good at its job. The stakes for UNDP are high. UNDP spends about $570 million a year on implementing environmental programs and projects, mostly on behalf of outside donors. Half of that funding comes from the Global Environmental Facility (GEF), which calls itself the world’s "largest funder of projects to improve the global environment." GEF is a partnership which includes 182 governments, as well as numerous international institutions, non-governmental organizations and the private sector. The United States contributed $86.5 million to the GEF last year, according to a U.S. Treasury official. Since 1991, GEF has dispensed $9.2 billion, plus more than $40 billion in additional co-financing, around the world, on its environmental mission. Its focus is on fostering environmental projects that cut carbon emissions and preserve the planet, and that have "global benefits." Much of that project money, about $286 million a year, has been showered on UNDP. According to an internal evaluation of UNDP’s environmental stewardship, environmental projects funded by GEF and managed by UNDP’s array of national offices around the world are now a substantial portion of the global bureaucracy’s livelihood. Indeed, the report says, “GEF financing has become essential in at least 15 of the 29 country offices interviewed [for the study], to pay for professional staff and maintain a substantial portfolio of activity. The poverty area [of UNDP’s work] receives much less external funding,” and instead comes from the organization’s regular, or “core” budget. Moreover, “the GEF is not mandated to tackle poverty,” as the study puts it. In other words, UNDP manages environmental projects in part to pay the rent. For the most part, the evaluation notes, its environmental work has been kept separate from its main focus on development and energy projects in the poorer parts of the world—a situation that the study concludes has not been necessarily good for either. All of that, however, appears to be about to change—because the world-wide environmental movement is also apparently changing its view of the relationship between development and the environment, especially in the wake of the failed attempt to get a new, global climate agreement in Copenhagen in December, 2009. The old view was that poverty and environmental decay went hand in hand, as poor people abused scarce natural resources in the struggle to survive. The new view is that the so-called “poverty-environment nexus” can be managed differently so that environmentalist projects can lead poor people to win new employment and better standards of living in the global “green economy”—especially at a time when traditional anti-poverty aid from budget-conscious Western nations is drying up. The new, virtuous “poverty-environment nexus” is increasingly hailed by environmental activists as a vehicle for transferring new wealth to the poor. And that praise is likely to rise to a crescendo in the months ahead, culminating at a new Earth Summit in Rio de Janeiro in May, 2012—two decades after the first Earth Summit in the same city put environmentalism solidly on the global agenda. The explicit aim of the Rio+20 Summit is to give increased momentum to the notion of “sustainable development in a global “green economy,” and to establish new instruments of “global governance” to make those changes permanent. Both the study and the response are due to be presented to UNDP’s 36-nation supervisory Executive Board, which meets starting on Jan. 31. According to the 112-page study document, UNDP’s ability to marry its environmental projects and anti-poverty efforts has been “haphazard” and uneven; “monitoring and evaluation for the poverty-environmental nexus is almost entirely missing in UNDP”; and the agency’s environmental agenda is driven mainly by opportunities to secure funding from outside sources for its activities. The lack of anti-poverty consciousness on the environmental side of UNDP’s business is matched, apparently, by a lack of environmental consciousness on the economic development side of the house. Yet the evaluation also argues that UNDP still has a major part to play in the global green transformation, in large measure due to the fact that its country office are the most widely spread U.N. presence around the world and it already plays an important role as a development coordinator. It also gives UNDP credit for helping GEF to “recognize how these projects affected poor people in the areas around [them]"
UNDP initially provided summary details of the projects that generated the employment figures—but not the total cost—to Fox News on request. UNDP also said that the 5,280 job figure was “likely an under-estimate,” since it had never tallied the employment impact of its environmental work before 2010. Using GEF websites, Fox News was able to locate the project documents for 128 of the 135 GEF projects on the list provided by UNDP, and discovered they were funded roughly 25 percent from GEF resources, and the rest from various governments agencies and other participants. But there the figures provided by UNDP and those recorded on the GEF website parted company. According to the GEF website, the projects cited by UNDP appear to have cost the trust fund alone at least $430 million. With co-financing added in, the total jumped to a whopping $1.675 billion. Those would be eye-popping figures anywhere. But they are even more dramatic when measured against the average annual incomes of the countries where the GEF projects are located. These range from desperately poor nations like the Democratic Republic of Congo (per capita income : $160 in 2009) and Niger ($340) to moderately more prosperous Pakistan ($1,000) and Uzbekistan ($1,000) to such middle-class nations as Chile ($9,470) and Croatia ($13,720). Moreover, most of the programs had little or nothing directly to do with poverty in any form. Mostly, they are concerned with such legal or quasi-legal matters as zoning, regulatory improvement, or augmenting the boundaries of environmental protection zones. Other projects appeared to be directly concerned with upgrading the skills of bureaucrats. One such: “Strengthening national capacity in Rio Convention implementation through targeted institutional strengthening and professional development” in Uzbekistan ($640,000). Moreover, the documentation associated with many of the projects appeared to be in vast disarray. A number of the projects on the UNDP list appeared to have ended years ago. In others, parts of the documentation were not included on the website. In still others, portions of the electronic paperwork appeared to have been openly altered. Whatever the helter-skelter state of affairs, it seemed clear that in many cases, substantial amounts of money had gone into government and regulatory offices in countries where corruption is often not unknown, and perhaps to pay for consultants who were helping those officials renovate their administrations. One sign of the impending change of emphasis is UNDP’s curiously specific claim about creating 5,280 jobs through its environmental projects. The claim popped up—with no price tag attached—in a top management response to the internal evaluation, which is highly critical of the agency’s effectiveness and desire to use environmental tools to manage that nexus differently. But where did those curiously specific figures come from? And what was the full cost of creating them, which UNDP did not mention? The project which undoubtedly marked our last years activity was CRECSS - Croatian Renewable Energy Center SOLAR SERDAR. 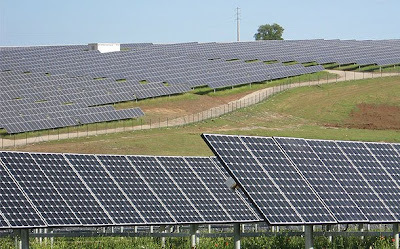 A long-term goal of the CRECSS project was to achieve sustainable development and environmental protection by increasing the use of RENEWABLE ENERGY SOURCES. As part of their contribution to the realization of that goal , the CRECSS partners provided financial support ,whit their help we manage to organize forums and training for interested renewable energy community. One of CRECSS main goals is to create a network and entice cooperation between all parties interested in issues concerning sustainable development, especially in the field of energetics.Therefore, CRECSS is always ready to cooperate with all similar and complementary organizations. We continued our years-long work on blogs and many portals about Renewable Energy.In accordance with the new trends on the internet and with the fast development of social networks, a CRECSS fan page was created on Facebook and the number of its fans keeps increasing. UNDP postoji u Hrvatskoj od 1996. godine kad je utemeljen prvi Ured za vezu. Ured je prerastao u Nacionalni ured stalnog predstavnika 2001. godine. Postojanje UNDP-a u Hrvatskoj temelji se na Standardnom osnovnom sporazumu o pomoći UNDP-a s hrvatskom Vladom. Programske aktivnosti UNDP-a Hrvatska temelje se na Nacionalnom programu UNDP-a u Republici Hrvatskoj od 2007. do 2011. koji je odobrio Izvršni odbor UNDP/UNFPA-a 24. siječnja 2007. Nacionalni program vremenski odgovara razdoblju Okvira nacionalnog strateškog razvoja hrvatske Vlade (2006. – 2013.). Konzultacije s višim ključnim službenicima Vlade te unutar zajednice donatora pokazuju da zacrtani rezultati nacionalnog programa strateški doprinose razvoju Okvira nacionalne strategije razvoja i Nacionalnim milenijskim ciljevima razvoja (NMDGs). Intervencije koje podupire UNDP također su potpuno usklađene s prioritetima Strategije pristupa EU, inicijativama Fonda Ujedinjenih naroda za djecu (UNICEF CPD 2007. – 2011. ), Populacijskim fondom Ujedinjenih naroda (UNFPA), Agencijom Ujedinjenih naroda za izbjeglice (UNHCR) i Svjetskom zdravstvenom organizacijom (WHO) kao i Strategijom za pomoć državi Svjetske banke. Program je razvijen u razdoblju od 6 mjeseci na temelju brojnih konzultacija sa svim nadležnim ministarstvima, Središnjim državnim uredom za razvojnu strategiju, lokalnim vlastima, partnerima iz područja civilnog društva, te agencijama UN-a. Naglasak plana razvoja Programa Ujedinjenih naroda za razvoj (UNDP-a) u Hrvatskoj svodi se na vrlo jednostavnu izjavu – "Ne zanemarimo niti jednog građanina". UNDP Hrvatska obvezao se podržati Hrvatsku u svim naporima za postizanje najvišeg stupnja ljudskog dostojanstva i blagostanja za sve svoje građane, bez obzira na spol, vjeru ili etničku pripadnost. Radimo na promicanju održivog razvoja društva, sigurnosti ljudi i jednakih mogućnosti u skladu s europskim i međunarodnim normama, načelima i obvezama koje je Hrvatska prihvatila. Povezivanjem ljudi znanjem i dijeljenjem globalnog iskustva, UNDP gradi partnerstva i pomaže u mobilizaciji sredstava, dok istovremeno pomaže Hrvatskoj dijeliti svoje vlastito razvojno iskustvo i stručnost s drugima. Program lokalnog razvoja UNDP-a ima za cilj premostiti razlike između razvijenih i manje razvijenih područja u Hrvatskoj, poticanjem socijalnog i gospodarskog oporavka zajednica pogođenih ratom uz istovremeno jačanje kapaciteta lokalnih vlasti i pružanje pomoći ranjivim skupinama. U središtu aktivnosti Programa Ujedinjenih naroda za razvoj (UNDP) nalaze se općine i gradovi u ruralnim krajevima koji spadaju pod područje od posebne državne skrbi (Prema Zakonu o područjima od posebne državne skrbi - PPDS) i najslabije razvijene jedinice lokalne samouprave prema nedavno razvijenom indeksu razvoja, unutar tri specifična zemljopisna područja: Banovina i Kordun, Lika i dalmatinsko zaleđe i Istočna Slavonija - Podunavlje. LIFE program usklađuje se i nadopunjuje s postojećim državnim, županijskim i lokalnim razvojnim aktivnostima ali s pojačanim usmjerenjem prema „nišama" – zajednicama, ranjivim skupinama, pojedincima i poduzećima koja, iz različitih razloga, nisu u mogućnosti sudjelovati u razvojnim aktivnostima. Nadalje, u posljednjih nekoliko godina, s obzirom na napredak opće situacije u državi i promjene u razvojnim planovima koji su se okrenuli prema strateškim prioritetima u zakonskom okviru i izgradnji kapaciteta a u svezi s procesom približavanja EU, mnoge međunarodne organizacije otišle su s područja teško pogođenih ratnim razaranjima usmjerivši svoju pažnju na ostala područja rada. Najranjiviji dijelovi populacije u udaljenim i marginaliziranim područjima zemlje ostavljeni su u uvjetima koji se ne mogu usporediti s većim i razvijenim gradovima i ostalim naprednijim područjima u Hrvatskoj. Sukladno tomu, potrebno je usmjeriti značajnu pažnju kako bi se najslabije razvijenim područjima što prije pružio potreban razvojni poticaj, posebice u cilju izgradnje kapaciteta najslabije razvijenih malih općina u ciljanim županijama te s namjerom smanjenja značajnih regionalnih razlika u stupnju razvoja, kako bi se ostvario ravnomjerniji razvoj između i unutar regija, posebice onih mikroregija koje najviše zaostaju u razvoju. Ovaj problem rješavat će se putem niza pripremljenih projektnih prijedloga s cjelovitom tehničkom dokumentacijom, za koje ciljane jedinice lokalne samouprave i županije inače nisu imale dovoljno kapaciteta. Uz svoje regularne aktivnosti, LIFE program također će provoditi i aktivnosti iz UNDP-eva projekta iz „Spain MDG Achievement Fund" (MDG-F): "Closing the Chapter: Social Inclusion and Conflict Transformation in War Affected Areas of Croatia". (d) jačanje lokalnih vlasti na razini županija i općina, uključujući sposobnosti potrebne za iskorištavanje sredstava EU-a. Kako je postotak nezaposlenosti i migracija u ciljanim područjima i dalje relativno visok, Program namjerava više pažnje posvetiti mogućnostima za lokalno poslovanje, omogućavanju izobrazbe za razvoj poslovanja, uspostavi proizvodno-distribucijskih lanaca između većih tvrtki i malih i srednjih poduzeća, te omogućavanju pristupa financijskim institucijama i sredstvima. Uz sve veće sudjelovanje u Programu, lokalne vlasti u tri zemljopisna područja stječu znanje, vještine i alate za bolje osmišljavanje i provedbu politika lokalnog razvoja, te za pružanje ciljanih usluga. Program su podržali Vlada kraljevine Norveške, Vlada kraljevine Nizozemske, Austrijska razvojna agencija (ADA), jedinice lokalnih i regionalnih vlasti te UNDP. Provedbeni partner je Ured Potpredsjednika Vlade za regionalni razvoj, obnovu i povratak. Partneri su Ministarstvo regionalnog razvoja, šumarstva i vodnog gospodarstva; Središnji ured za razvojnu strategiju i koordinaciju fondova EU, jedinice lokalne i regionalne samouprave (gradovi, općine i županije), lokalne i nacionalne nevladine organizacije, međunarodne organizacije (OESS i UNHCR) i lokalne tvrtke. Program UN-a za razvoj RBEC i Coca-Cola EMED pokrenuli su projekt regionalnog partnerstva za vode s ciljem osiguranja okvira i zajedničkog akcijskog plana za programe vezane uz vode u europskim zemljama i Zajednici neovisnih država, s posebnim naglaskom na povećani pristup pitkoj vodi, olakšavanje korištenja ekološki prihvatljivih industrijskih tehnologija i akcije razvijanja svijesti u svrhu promoviranja odgovornog gospodarenja vodnim resursima. Much like in the previous years, in 2011 we continued to work on the strengthening of our image and visibility and to cooperate with both individuals and organizations from all tree sectors - civil, business and public. The project which undoubtedly marked our last years activity was CCRES - CROATIAN CENTER of RENEWABLE ENERGY SOURCES.A long-term goal of the CCRES project was to achieve sustainable development and environmental protection by increasing the use of RENEWABLE ENERGY SOURCES. 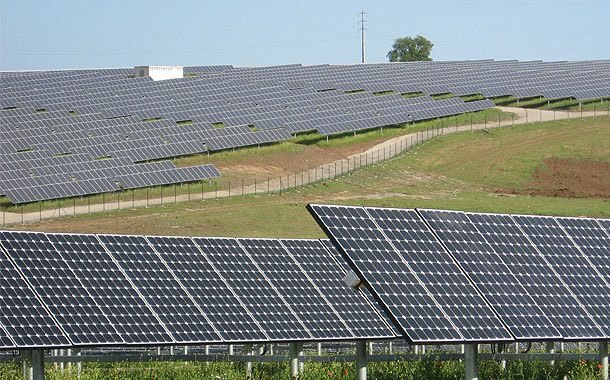 In Republic of Croatia exists legislative frame for investments in power plants on renewable sources of energy according to Cratian governments by law for getting a status of privileged electricity producer and tariff system for electricity production from renewable sources of energy and cogeneration. In reality that means PV s instalation up to 30 kW on family houses, warehouses and other factories, and over 30 kW installation on the ground (on grid). Investment per 1 kW+vat=4,50 EURO app. Investment per 1 kW+vat=4 EURO app. Low costs of servicing and line connection with the investor and facility supplier are a guarantee of safety and reliablity for the business. The recent growth of interest to invest in new power plants in Croatia resulted from implementation of laws and regulations that stimulate electricity production from renewable energy sources ( RES ). Most of these plants tend to connect to the distribution network. HEP - TRANSMISSION SYSTEM OPERATOR ltd, Ministry of Economy, Labour and Enterpreneurship, The Croatian Energy Market Operator continues working on the adjustments and simplifying necessary procedures for connecting power plant to DSO network, as well as on defining the necessary technical requirements on connection of production unit to the power distribution network. This document gives a procedure for a potential electric energy producer to go with DSO starting the first contact and finishing with a final connecting to the DSOs network. The document gives the actual experiance and current status of inplementation of given procedure; connecting the power plants to power distribution network. An air source heat pump extracts heat from the outside air in the same way that a fridge extracts heat from its inside. It can extract heat from the air even when the outside temperature is as low as minus 15° C.
Can lower fuel bills, especially if you are using conventional electric heating. Can be easier to install than a ground source heat pump, but efficiencies can be lower. You'll need a place outside your house where a unit can be fitted to a wall or placed on the ground. It will need plenty of space around it to get a good flow of air. A sunny wall is ideal. Since air source heat pumps work best when producing heat at a lower temperature than traditional boilers, it's essential that your home is insulated and draught proofed well for the heating system to be effective. The system will pay for itself much more quickly if it's replacing an electricity or coal heating system. Heat pumps are not recommended for homes on the gas network. Air source heat pumps can perform better with underfloor heating systems or warm air heating than radiator-based systems because of the lower water temperatures required. If you have the opportunity, underfloor heating can provide greater efficiencies than radiators because the water doesn’t need to be heated to such a high temperature. If underfloor heating isn’t possible, then use the largest radiators you can. Your installer should be able to advise on this. you will still have to pay fuel bills with a heat pump because they are powered by electricity. The saving you achieve can be affected by the price of the fuel you are replacing and the price of the electricity for the heat pump. the efficiency of the old heating system will affect how much you spent on heating bills previously. If the old heating system was inefficient heating bills could have been high and the difference between the new running costs and the old running costs will be greater, therefore providing a greater saving. if the system is providing hot water as well as space heating: the provision of hot water can lower system efficiencies, therefore making running costs higher. if you heat your home to much higher temperatures with a new heat pump system than you did with an old heating system then your home will be warmer, but heating bills could be higher than if you continued with the same heating pattern. It’s a good idea to set thermostats to around 18 to 21 degrees centigrade. learn how to control the system so you can get the most out of it. Your installer should explain to you how to control the system so you can use it most effectively. The world’s scientists tell us that we have just a few years to turn around the growth of greenhouse gas emissions in order to avoid the worst effects. Projected impacts include increased intensity of hurricanes; the long-term destabilization of the Greenland and West Antarctic ice sheets, leading to much greater sea level rise; the acidification of the world’s oceans; and a vastly increased rate of species extinction. Wonders such as the Great Barrier Reef and the Amazon could collapse under the weight of just a few more degrees. Continued climate change will result in regional scarcities of water, food, and land, which can lead to human conflict and political instability—posing greater national security risk to the U.S. More intense storms, droughts, floods, and wildfires will result in costly property, agricultural, and infrastructure losses, while projected sea-level rise could force migrations out of coastal areas and result in hundreds of millions of global climate refugees by the end of the century. Additionally, more frequent and intense heat waves, a rise in the spread of infectious diseases, and poorer urban air quality will pose serious public health threats. The total projected economic costs from these impacts are extraordinary. Climate change is already here. It is already affecting our natural environment, our national security and our quality of life and these warning signs are plain to see. The 10 warmest years on record have all occurred since 1990. Mountain glaciers are receding on every continent and the sea ice is melting. The seas have begun a slow but menacing rise, encroaching upon coastal cities in every nation where populations are concentrated. We can—and must—act urgently if we are to limit and eventually halt the impacts of climate change on human communities and natural ecosystems. The greater the magnitude and rate of warming, the greater the chances are for devastating and irreversible changes in the Earth’s climate system. Even by acting today to reduce our emissions from cars, power plants, land use, and other sources, we will see some degree of continued warming for a period of time because past emissions will stay in the atmosphere for decades or more. The window for effective action is closing fast and responding to the climate crisis will take commitment and ingenuity. The actions we take in the next several years will determine the kind of world future generations will inherit. The Earth is naturally insulated by a delicate balance of heat-trapping (or “greenhouse”) gases in the atmosphere. When the sun shines on the Earth, some of that heat is absorbed, keeping Earth warm enough to support life. However, over the last century, humans have been releasing more and more carbon dioxide and other heat-trapping gases into the atmosphere when we burn fuels and cut down forests. These additional gases have altered the composition of our atmosphere, trapping more heat than is possible for the Earth to sustain and maintain the current natural balance amongst its ecosystems. The result is human-caused global warming, which brings serious threats from flooding to the spread of disease to the disruption of agriculture in many parts of the world. The science behind global warming is often portrayed as enormously complex, but some of it is quite simple. It begins with the energy that radiates from the sun, which gives us light and warmth. As some of this energy radiates back toward space as heat, a portion is absorbed by a delicate balance of heat-trapping (or “greenhouse”) gases in the atmosphere that create an insulating layer. Without the temperature control of this greenhouse effect, the Earth’s average surface temperature would be 0°F (-18°C), a temperature so low that the Earth would be frozen and could not sustain human life as we know it. The most abundant of the greenhouse gases is water vapor. In addition, there are other powerful greenhouse gases like carbon dioxide (CO2), methane, and nitrous oxide. Each of these is a natural part of the never-ending cycle of life, death, and decomposition on Earth. But since the onset of the Industrial Revolution, humans have been pumping out more and more of these and other greenhouse gases. Scientists are clear: human activities are contributing to global warming by adding large amounts of heat-trapping gases to the atmosphere. Our fossil fuel use is the main source of these gases. Every time we drive a car, use electricity from coal-fired power plants, or heat our homes with oil or natural gas, we release carbon dioxide and other heat-trapping gases into the air. The second most important addition of greenhouse gases to the atmosphere is related to deforestation, mainly in the tropics, as well as other land-use changes. The concentration of CO2 in the atmosphere is now 380 parts-per-million (ppm), 100 ppm higher than at the beginning of the Industrial Revolution. And, as a result of the build up of gases, the temperature is beginning to rise. Adults today have already felt the average global temperature rise more than a full degree Fahrenheit (0.8°C) during our lifetimes. We expect another degree F by 2020 due to past emissions. Based on modeling by an international body of experts studying the climate crisis, the Intergovernmental Panel on Climate Change (IPCC), the temperature could increase by more than 7°F (4°C) by the end of the century in the absence of meaningful efforts to rein in global warming pollution. Throughout history, people have been a powerful force for positive change. That’s because when people unite and call for action, change isn’t just possible, it’s inevitable. But no single person stormed the beaches of Normandy or ended slavery, and no single person will stop global warming. When we solve the climate crisis, it will be because all of us worked together to get it done. It will be because we, along with our neighbors, co-workers, and friends around the world, took a stand and demanded that our leaders make stopping global warming a top priority. In order to create the kind of large-scale change required to stop climate change, we need our elected leaders to implement policies and pass laws that promote renewable energy and support energy efficiency. We need companies to publicly support these policies and improve their business operations and product offerings. The good news is that we are already five million strong and have begun to make our voices heard. However, there is still more work to be done to ensure that the future will become safer and cleaner for the next generation. If we’re going to solve the climate crisis, it’s going to take all of us working together, and our work begins right here at home in America. For more information on how to take action to urge our elected leaders to support bold action to protect our climate and put us on the path to a clean energy future, visit CROATIAN RENEWABLE ENERGY CENTER SOLAR SERDAR (CRECSS), where you can learn how to be wiser, write a letter or op-ed for your local paper, or volunteer on the CRECSS campaign.